#247. Near Nanterre. 12 x 18, oil on beveled panel. "Gilbert Munger" lower left. The back has a handwritten label, probably in Munger's hand, showing:"No. 66 - Near Nanterre - Gilbert Munger". 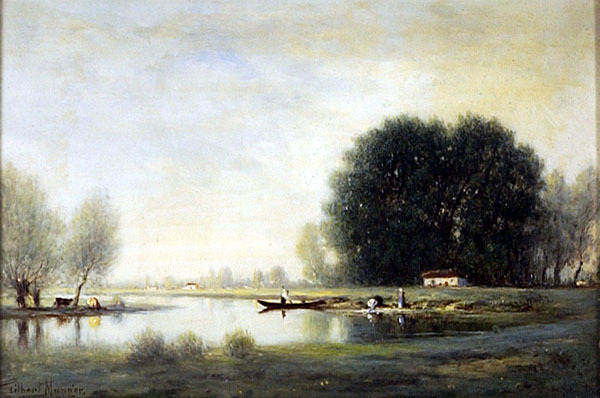 This French Barbizon scene has the same title as painting #47 and depicts a very similar scene. 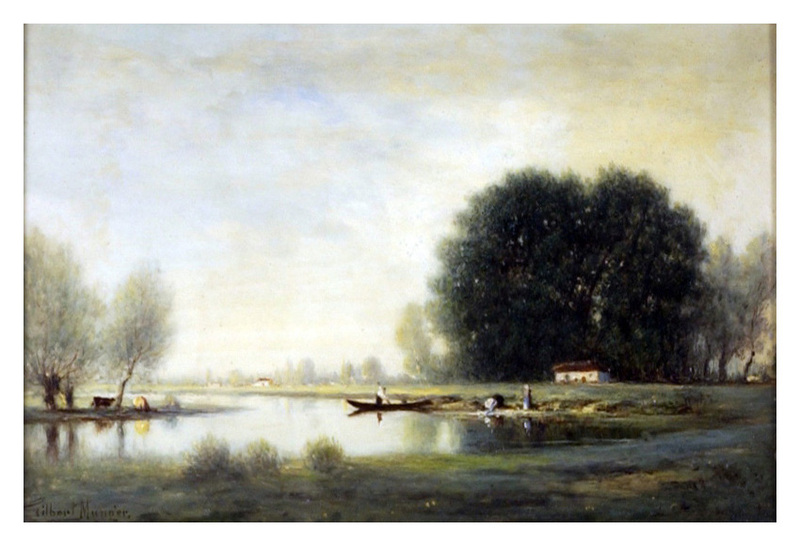 Paintings with this name were exhibited at the Winter Exhibition of the Hanover Gallery, London, in 1889-90 and in the summer exhibition of 1890. One was sold at the auction of the collection of Charles T. Yerkes on 6 April 1910 at Mendelsohn Hall in New York City, where it fetched $425: the buyer is listed as T. R. Benkhard. Most recently a private party from Cape Cod consigned it at Eldred's, East Dennis MA, 18 November 2006 auction, lot 1158, where it sold for $6000 + 20%. Image from Eldred's.